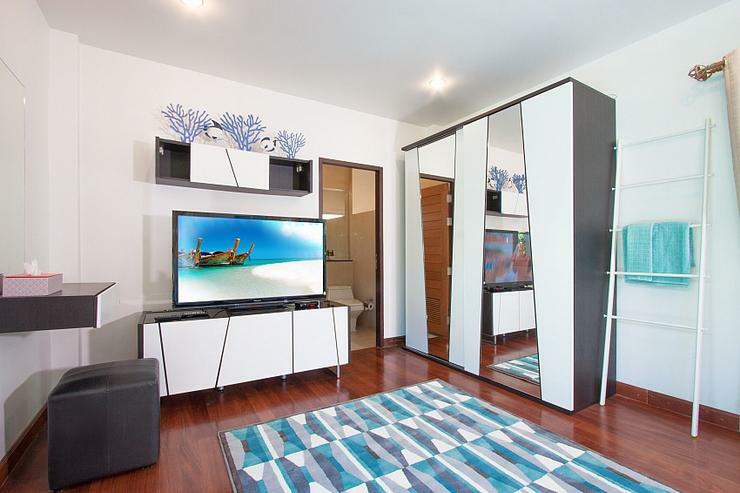 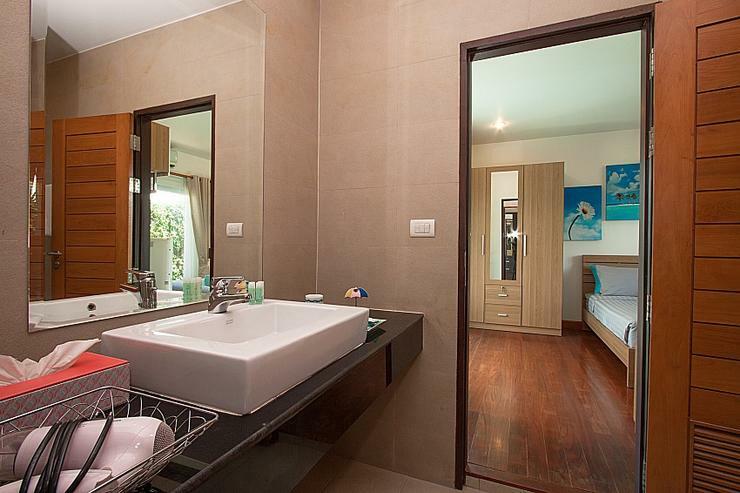 The location of this development is situated outside the city in Banglamung, under a 10-minute drive to Naklua in North Pattaya. 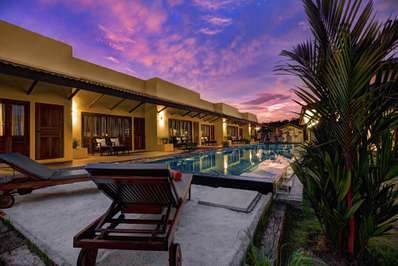 The estate is situated next to the beach, just a 2-minute stroll away and here you will find some cool beachfront seafood restaurants. 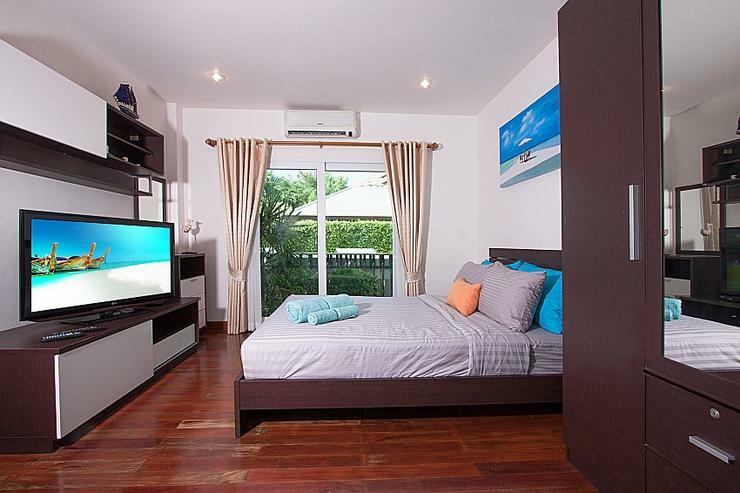 Under a 10-minute drive you will find some popular Pattaya attractions such as Pattaya Sheep Farm (5-mins), Sukhawadee Mansion (3-minutes) and Million Year Stone Park (7-minutes). 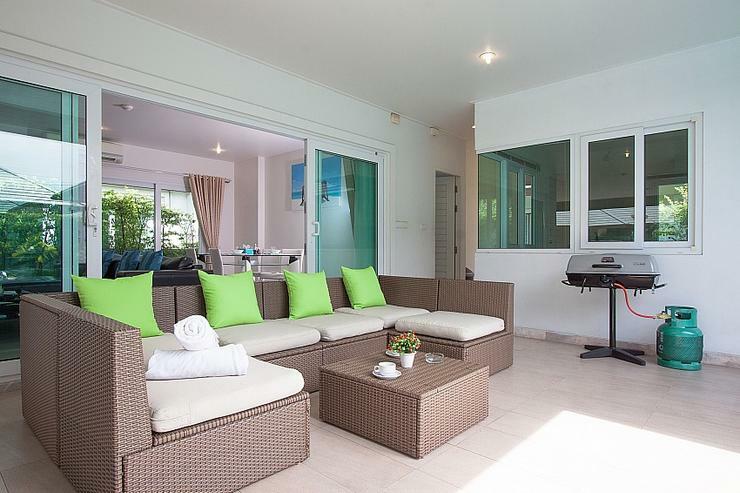 This is a great villa for golf lovers because in under a 15-minute drive you can visit both Pattaya Country Club and Laem Chabang GC. 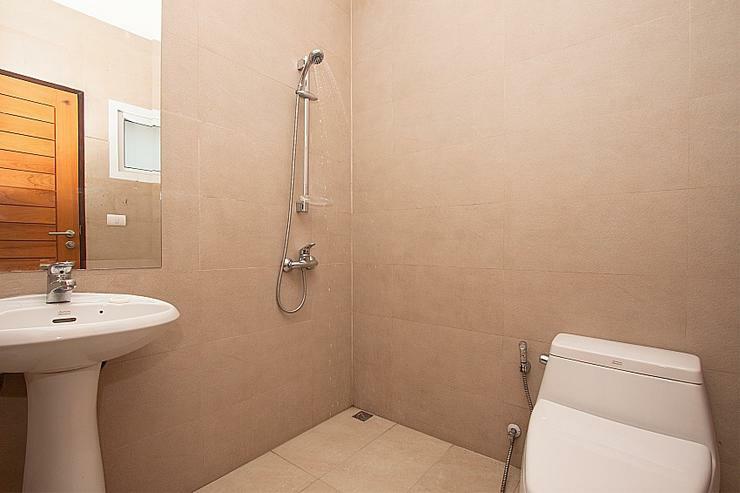 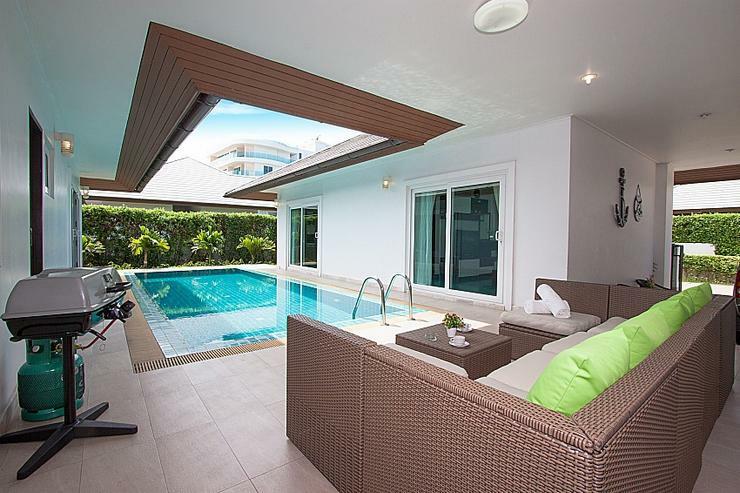 Located just a 2-minute stroll to the beach amidst a classy residential estate with 24-hour security and communal facilities, this 3-bedroom villa is a nice find. 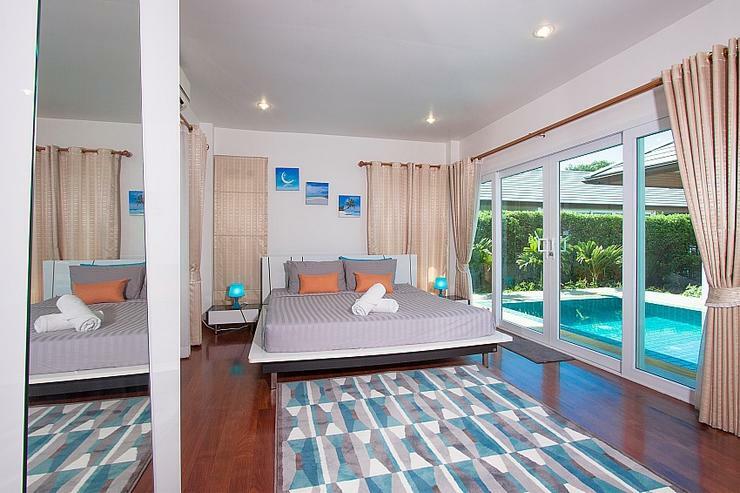 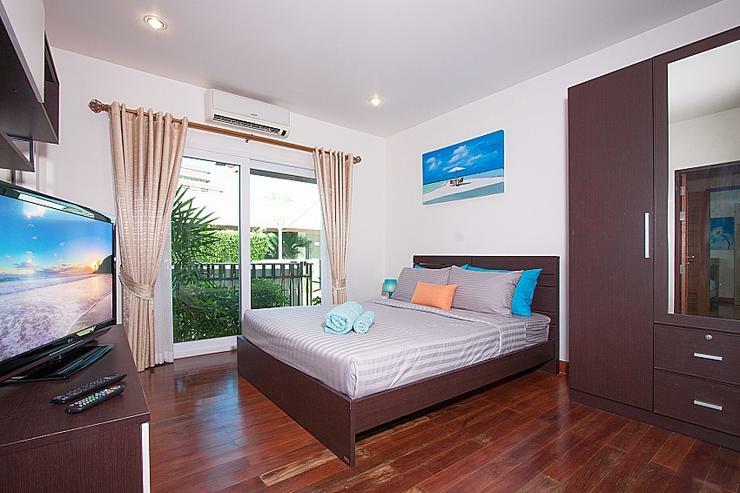 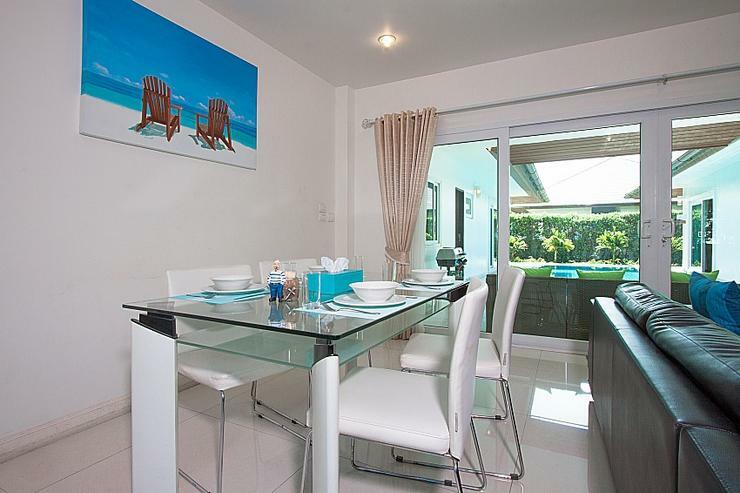 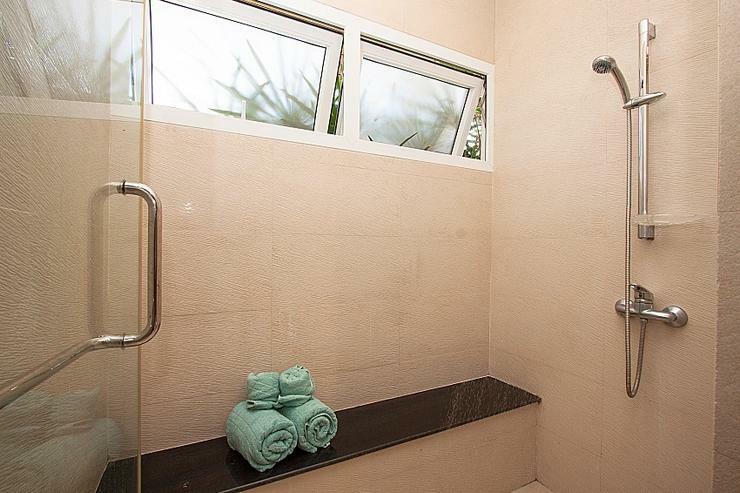 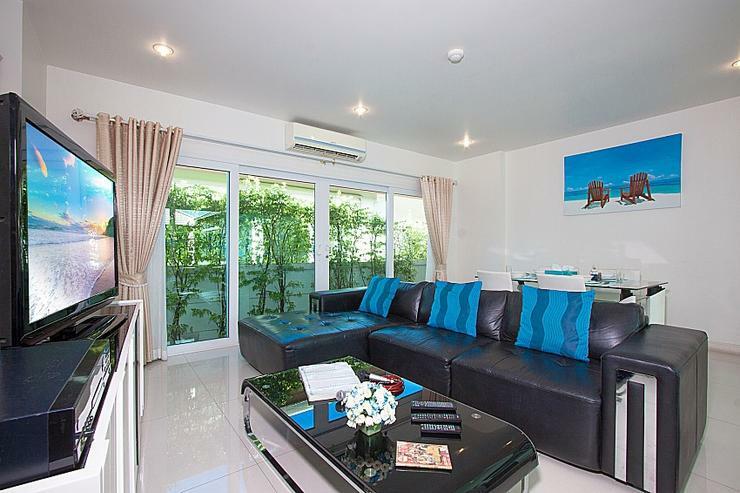 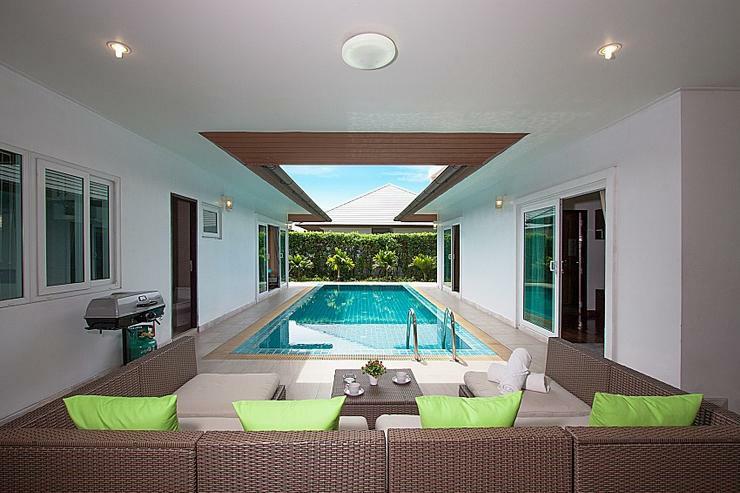 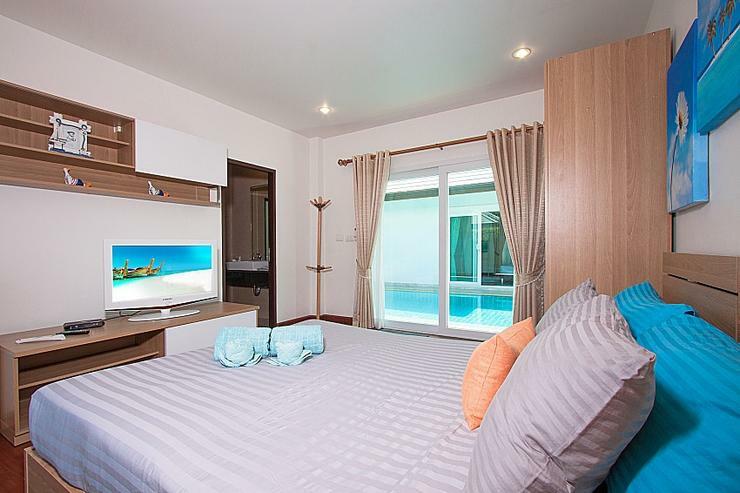 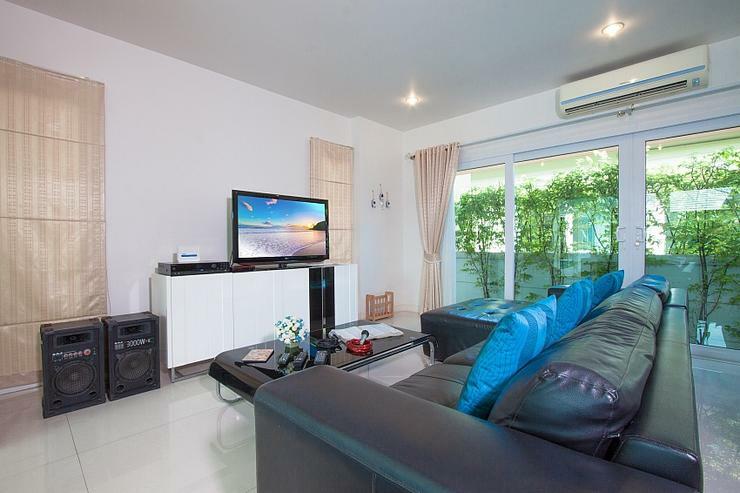 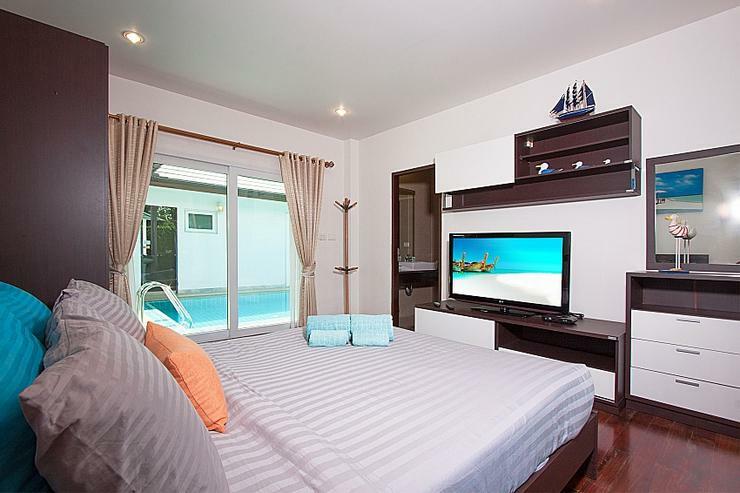 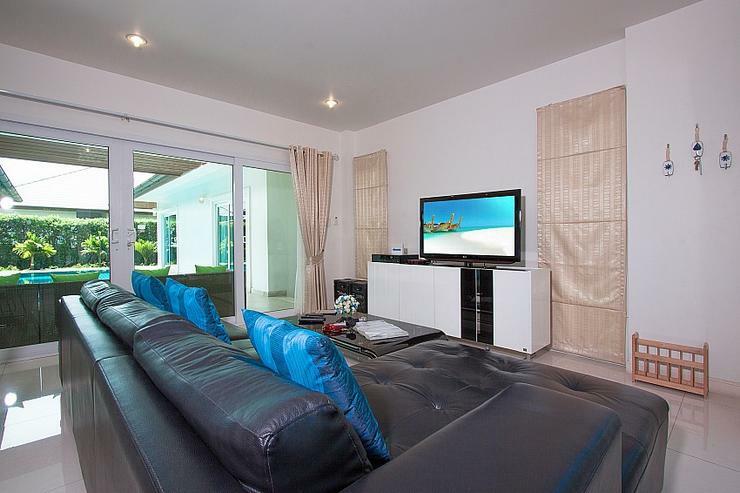 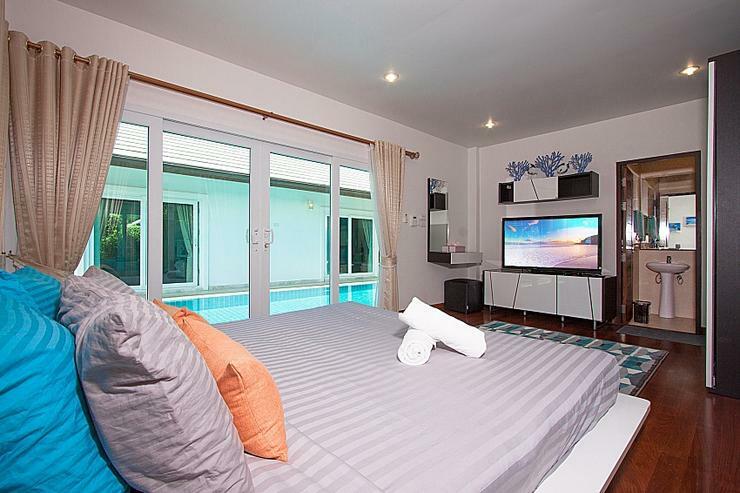 Situated in Banglamung, the villa is located outside of the city, under a 10-minute drive to Naklua and North Pattaya. 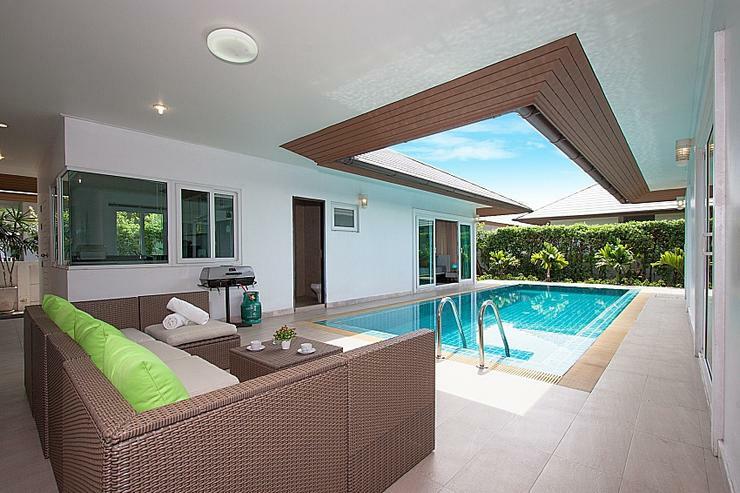 The villa is modern and contemporary styled with a large terrace area next to a private swimming pool that has a wicker sofa, sun loungers and a BBQ unit. 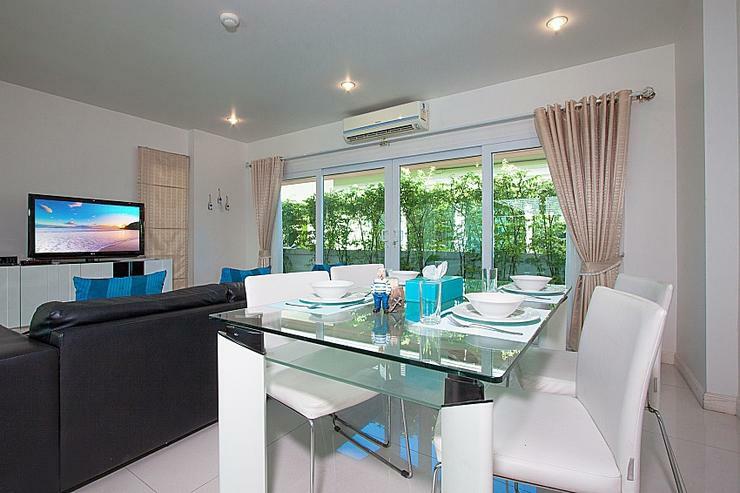 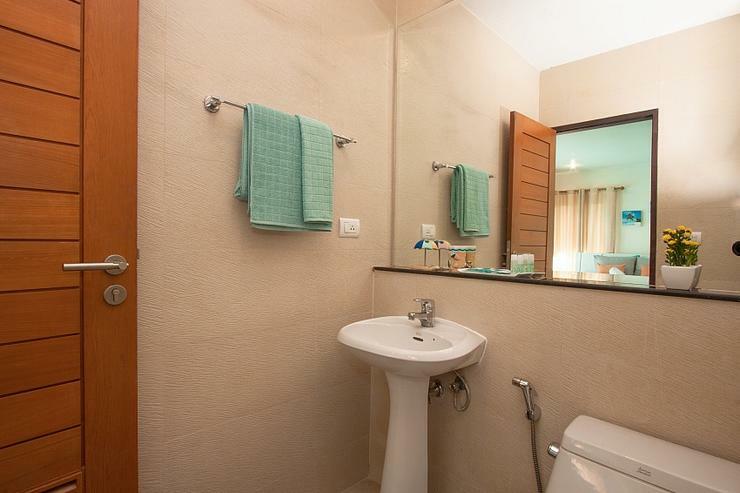 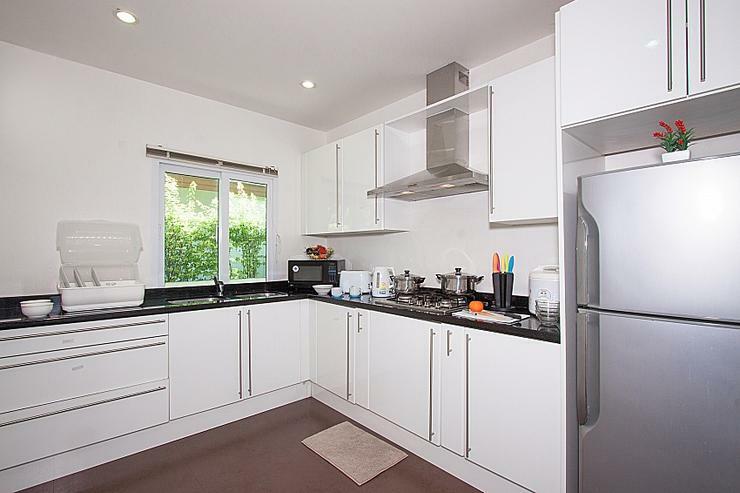 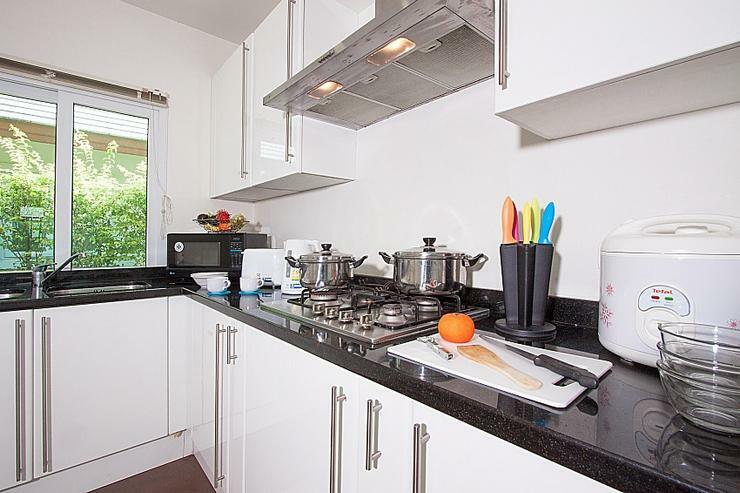 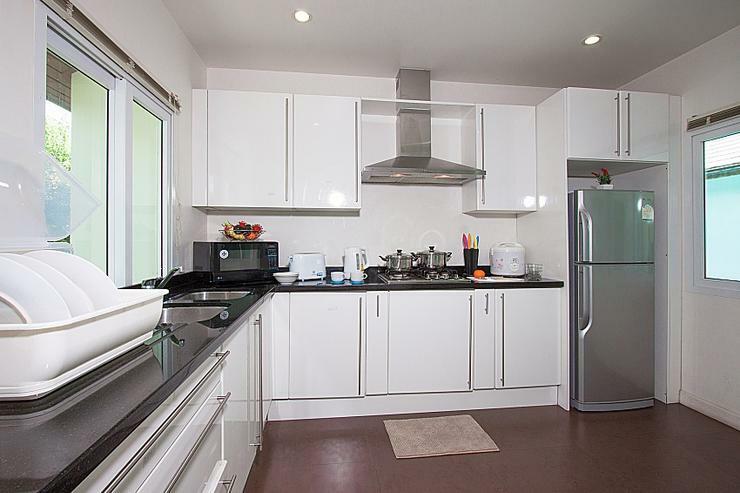 The 3 bedrooms, living, dining and kitchen areas are set across 2 separate units that all sit at poolside. 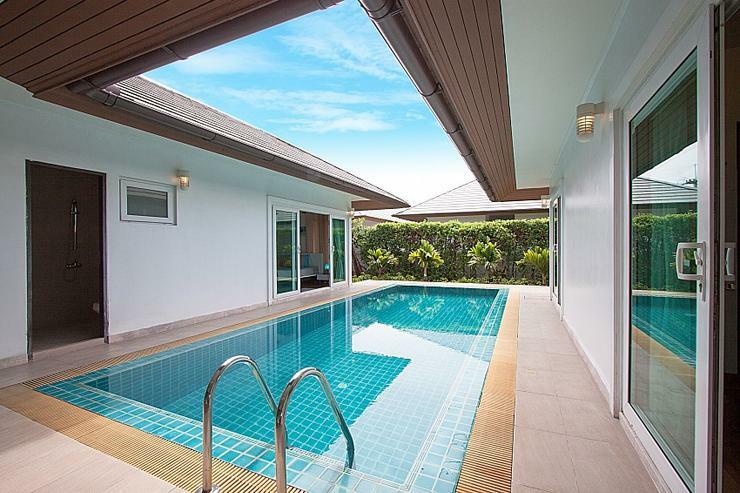 Just a 2-minute stroll from the villa and you will find a beach and the development's beachfront clubhouse that is home to a gym and communal swimming pool. 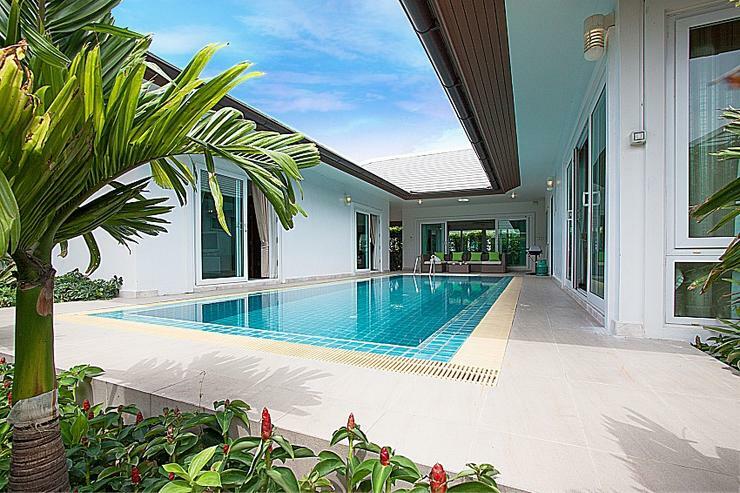 The villa is located in a gated estate 2-minutes from the beach in Banglamung, a 10-minute drive from North Pattaya and Naklua. 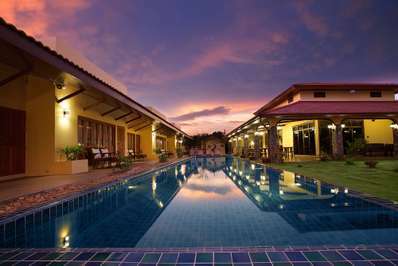 This is a great location for families or those who seek sanctuary. 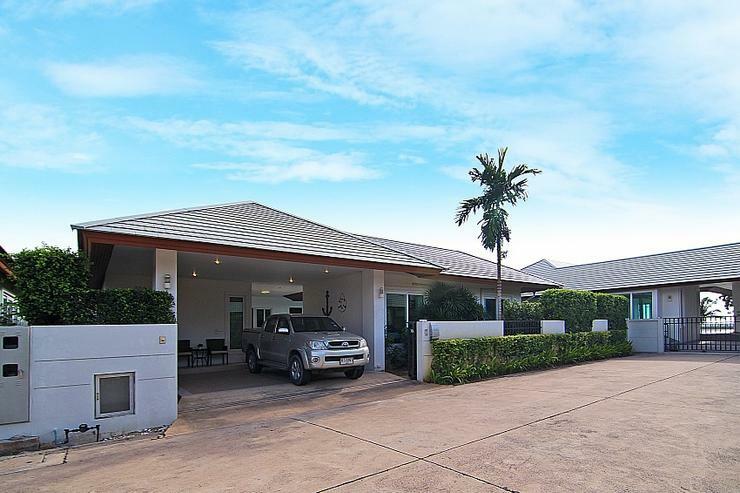 In under a 10-minute drive you can visit Million Year Stone Park (7-minutes), Pattaya Sheep Farm (5-mins), and Sukhawadee Mansion (3-minutes). 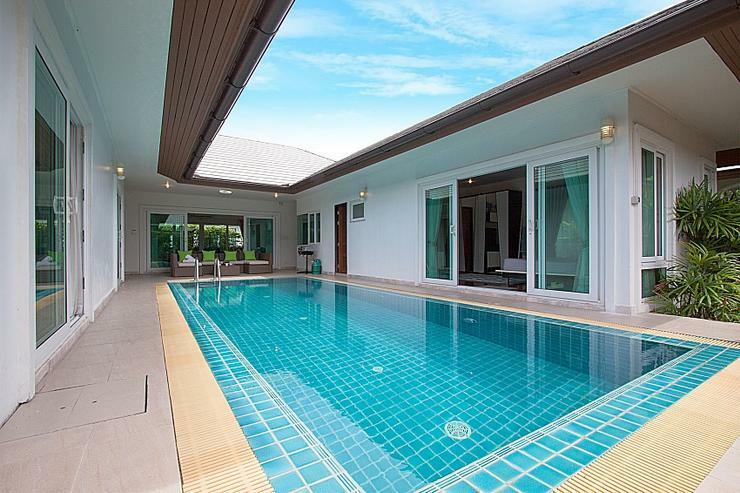 Pattaya Country Club and Laem Chabang golf courses are just a 15-minute drive.